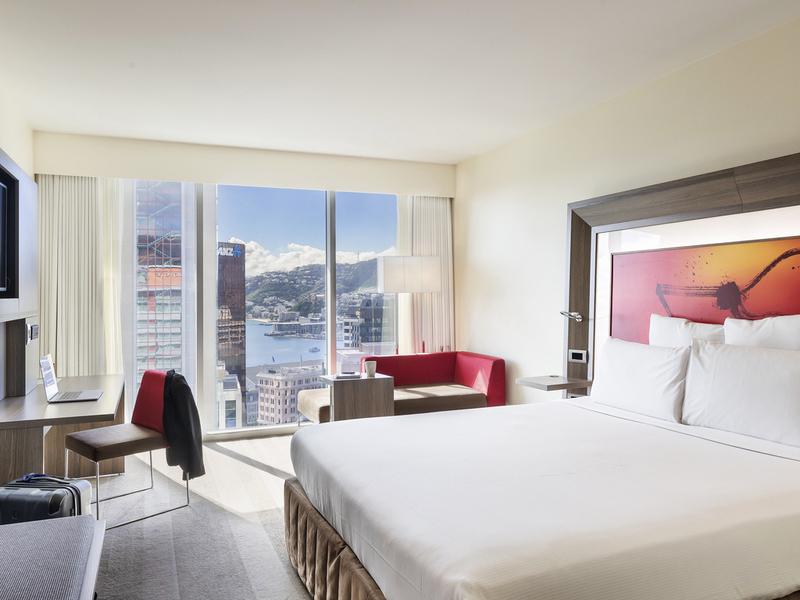 With breath-taking harbour views and a central location, you can't beat a relaxing stay at Novotel Wellington in New Zealand's cultural capital. Located minutes from Lambton Harbour and surrounded by exceptional dining, entertainment and shopping options. Novotel Wellington is the ideal base for couples, groups and families alike. Take a walk down to Te Papa or the iconic Beehive Parliament building, enjoy an event at Westpac Stadium, or meet the animals at Wellington Zoo. Room was super quiet and beds were really comfortable. The staff were extremely helpful throughout the whole stay. Great location! I’ve stayed here before and been satisfied with the service. However, as a paying silver Accor plus member I had higher expectations. I made sure to ring through before my arrival to give my Accor plus number. The staff were generally great and so was the room quality. however there were Specific examples where i wasn’t pleased: - when arriving for business, I had a booking with full charge back and was asked to provide a personal credit card for security. I haven’t had to do this in the past and the staff member checking me out, confirmed that I shouldn’t have needed to do this. - although I received a single complimentary drink card upon arrival, I expected my husband who was with me to receive one as well. - my husband had hung the “clean my room” sign about mid-morning. the housekeeping staff member had been quite grumpy with him when he asked if she could make up the room, even though she hadn’t seen the sign up earlier. - at breakfast, 3 staff members had an argument (couldn’t understand because it was in Chinese I think) and we thought that was unprofessional. Overall, not a great first impression as a new Accor plus member and for a 4.5 star hotel. Our first experience in Wellington was a smiling, happy, and very helpful front desk reception. Upon entering our room we were very pleased with all that it offered especially the beautiful view of the city and harbor. Thank you very much! All staff were super helpful and friendly. They were accommodating and went out of their way to make our stay amazing. They generally cared and made us comfortable. Great room, comfortable and good breakfast. The hotel is amazing and is such a fantastic location...The lift down 9 floors to Lambton Quay which is in the heart of the CBD and all the shopping you could wish for is located in the restaurant..the staff are very friendly and the buffet breakfast had all you could want to set you up for the day....I would highly recommend the Novotel and we look forward to staying there again in the near future. Our stay was well managed, pleasant, and comfortable. The reception staff were very helpful and gave great advice on where to go. The room was spacious enough for our family of four. An improvement would be lower cost parking, or at least discounted for guests. The hotel is nice and modern, and the situation is perfect as it’s close to a lot of tourist places to visit. Staff is very nice and helpful. Breakfast is small, but good quality. Rooms size are just correct, but modern. We enjoyed our stay at Novatel, Wellington. Family getting together for an excellent meal with great friendly service and tasty well presented food. It was nice to have an interesting varied menu for a mix of guests. It meant not having to go outside for those of us staying. The room was comfortable and clean. Breakfast was as always, plentiful and tasty. Reception friendly and efficient. We had a good break and didn't spend much time in the room, but it had everything we needed and was quiet and clean. Excellent, I stay with you quite often and it was nice to be greeted by name and welcomed back to Novotel, nice genuine care factor and friendly banter. Room was awesome, clean and tidy and everything I needed. It was an average stay with a few areas needing improvement. Great location and friendly welcome. Unfortunately, the information regarding where to park and how to access entry back into the hotel was limited and could have been much more detailed to avoid confusion. The bath mat in the bathroom was stained with brown and room could have been vacuumed before we arrived.